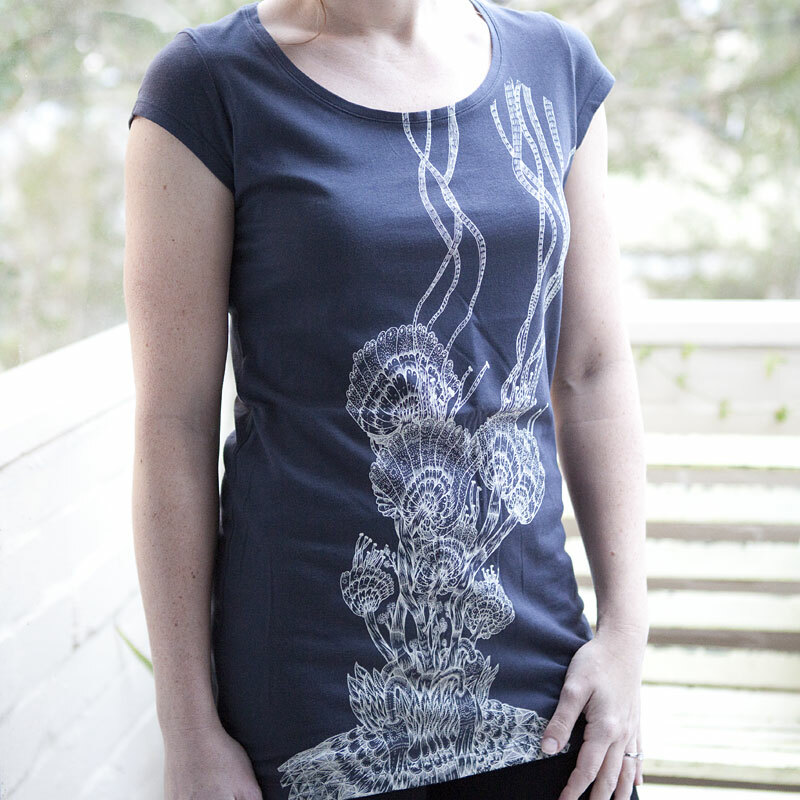 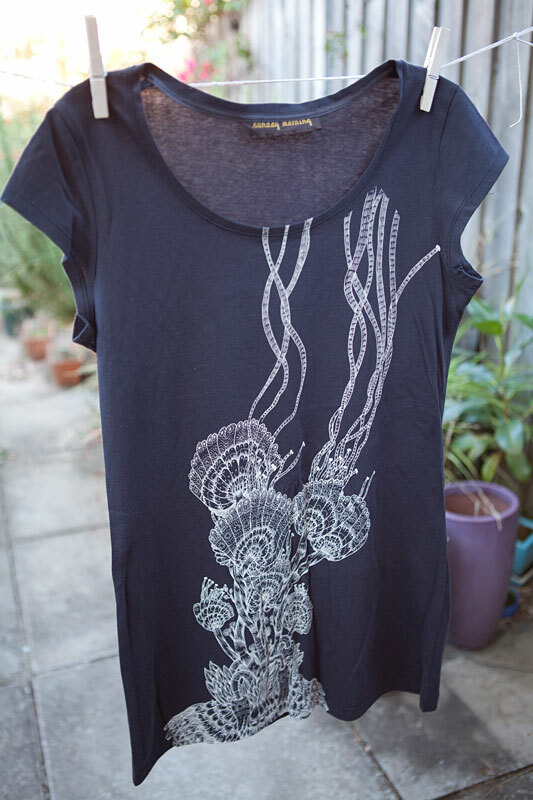 A long stylish fitted charcoal tee with one of Dylan Martorell's exquisite illustrations screen printed on the front with enviro-friendly water-based inks. 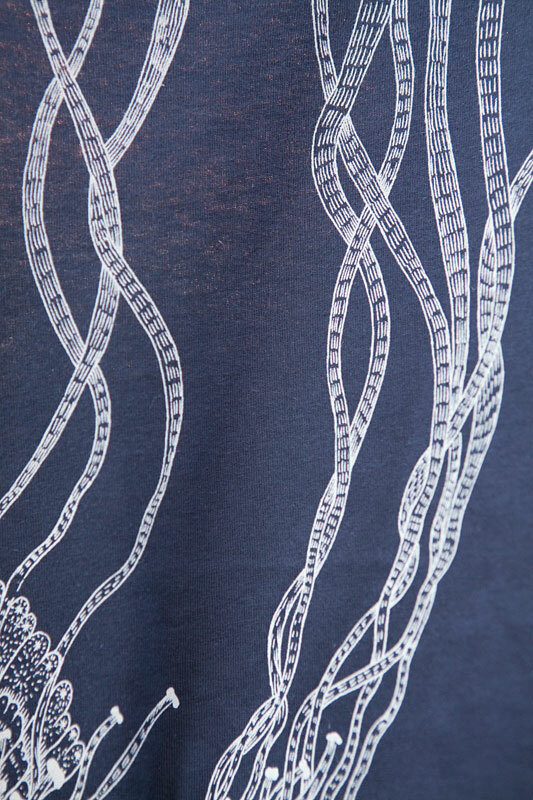 With sweet cap sleeves and super soft 100% baby combed cotton, you'll love wearing it! 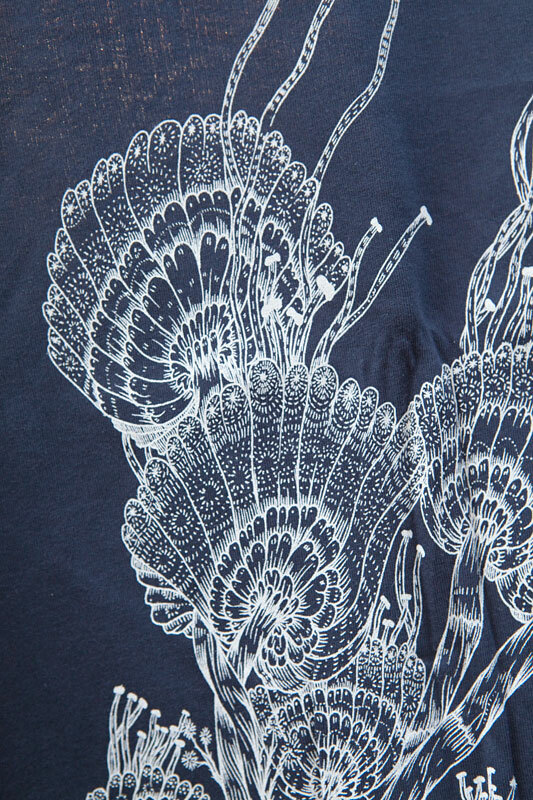 This print reminds us of coral gently moving with the current... LOVE it!